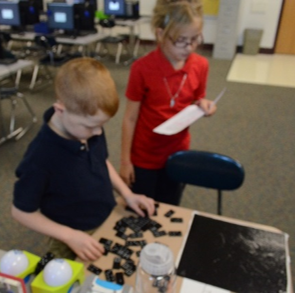 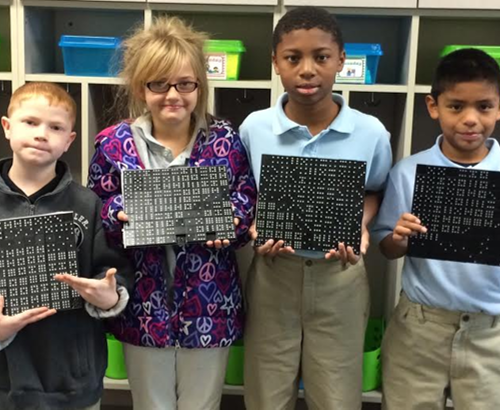 Four students from last years Cyber Lions after school technology Club recently completed a project in conjunction with our coding and technology lessons and tied it to a discussion about Dr. Martin Luther King Jr. 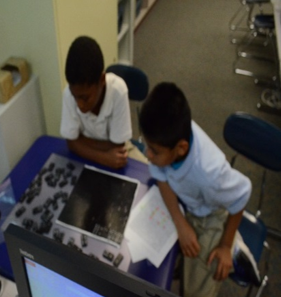 The students were learning about pixels to understand how images appear on computer screens and televisions. 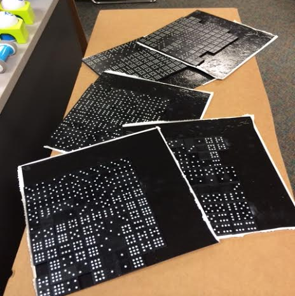 We discussed that a pixel is a dot and alone it is just a dot, it takes the help of hundreds or thousands of other dots to become something we can see. 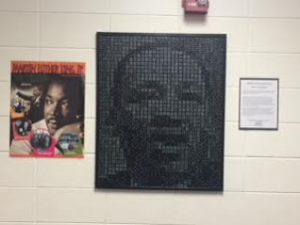 We then tied this concept to Dr. King’s “I Have a Dream” speech and the students quickly realized that much like the pixels on a computer, his dream, alone was inspirational, but when thousands of others joined with him, something beautiful happened. 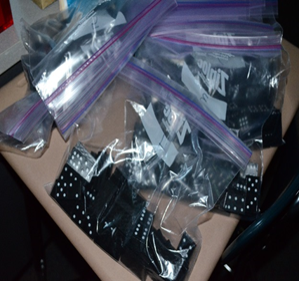 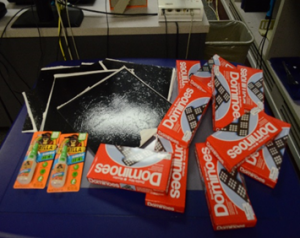 The students then transferred this concept into a work of art using dominoes. 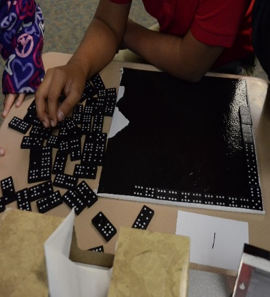 The dots on the dominoes represented both the pixels and the dream shared by Dr. Martin Luther King, Jr. 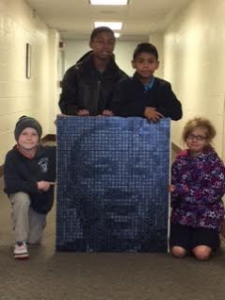 When combined together in a “coding” method, the pixels (or dreams) created a portrait of Dr. Martin Luther King, Jr.